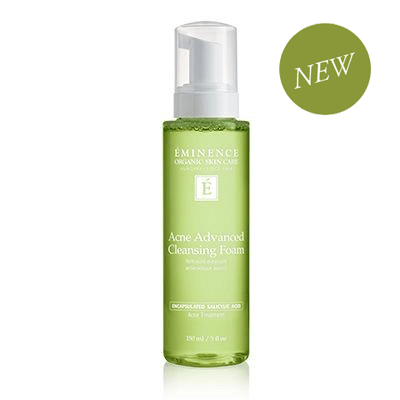 Eminence Organics Acne Advanced Cleansing Foam features a potent blend 1% salicylic acid and a antiseptic herb blend to treat acne and prevent breakouts without over-drying. 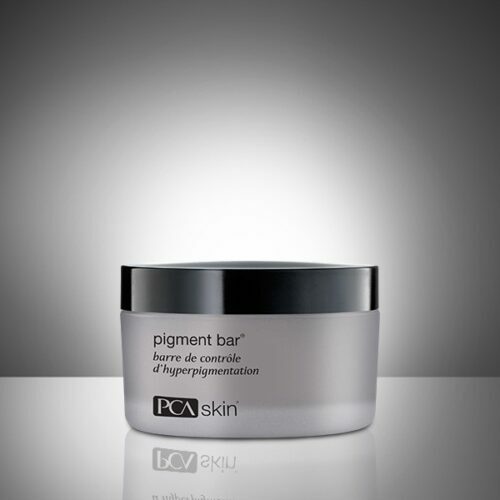 Effectively removes surface build-up, impurities and blockages leaving skin clear and helping to reduce inflammation. Encapsulated Salicylic Acid (1%) : A beta-hydroxy-acid (BHA) that helps to deeply exfoliate and unclog pores while delivering time-release treatment and protection against acne and breakouts. Antiseptic Herb Blend (Oregano, Thyme, Cinnamon, Olive Leaf, Rosemary, Peppermint, Lavender, Goldenseal and Lemon Peel Extracts) : blend of antiseptic herbs to help protect the skin and reduce inflammation. Caffeine (from Green Tea): helps to revitalize the skin while protecting the skin from inflammation. Panthenol (Proviatmin B5) : antimicrobial, anti-inflammatory that helps to balance the skins moisture levels and protect the skin from irritation. Pump a small amount of product to transform the liquid into a lightweight foam. 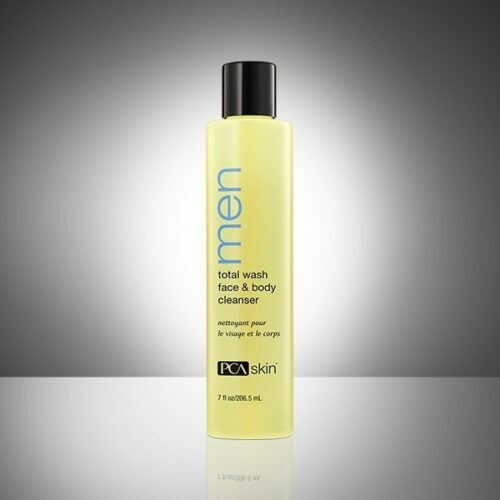 Apply to skin and massage gently with fingertips in a circular motion covering the face and neck. For added slip, add a few drops of water over the top. Rinse thoroughly and pat dry. Product working well. Smells Great .